Jacob Martin, the former Indian cricketer who met with an accident in December last year is currently battling for life in a Vadodara hospital. He has been put on a ventilator after receiving injuries to his lungs and liver in the accident. 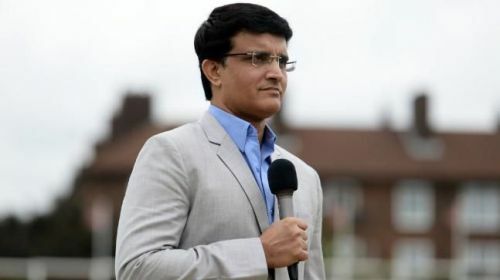 Apart from BCCI and Baroda Cricket Association, several cricketers have come forward to provide him with a helping hand, and in the latest, Sourav Ganguly has extended his support for the teammate too. The former Indian skipper, while expressing grief about the situation, said that he will do whatever he could do for Jacob and his family. Jacob was a right-handed middle-order batsman and had a formidable record in Domestic cricket. However, the Baroda-born cricketer couldn't bolster his place at the international level, playing only 10 ODIs for India between 1999 and 2001. The 46-year-old met with a dreadful accident last month, following which he has been fighting for his life in a Vadodara hospital. Recently, his wife wrote to the BCCI, seeking help. Promptly, the board allocated ₹5 lakh for an ailing Jacob. Home association BCA too sanctioned ₹3 lakh for his treatment. After BCA secretary Sanjay Patel took the first step by helping Jacob's family, several others including Indian head coach Ravi Shastri, and cricketers Zaheer Khan, Irfan Pathan, Yusuf Pathan, Munaf Patel joined him. “It’s overwhelming that Zaheer Khan, Yusuf and Irfan Pathan, Munaf Patel, Sourav, and Ravi, among others, have come forward to extend a helping hand in this time of distress for Martin’s family,” Patel told The Telegraph. One of India's most successful captains, Ganguly too stepped up to support his teammate. "Martin and I have been teammates and I remember him as a quiet, introvert-type of person. While praying for Martin’s speedy recovery, I’d like his family to know that they don’t stand alone," Ganguly was quoted as saying.